We were looking for something in Far East Plaza, so we decided to try out The Sushi Bar. It has a reputation for fresh and economical Japanese sushi and food. A little Mekajiki and Hamachi Belly. 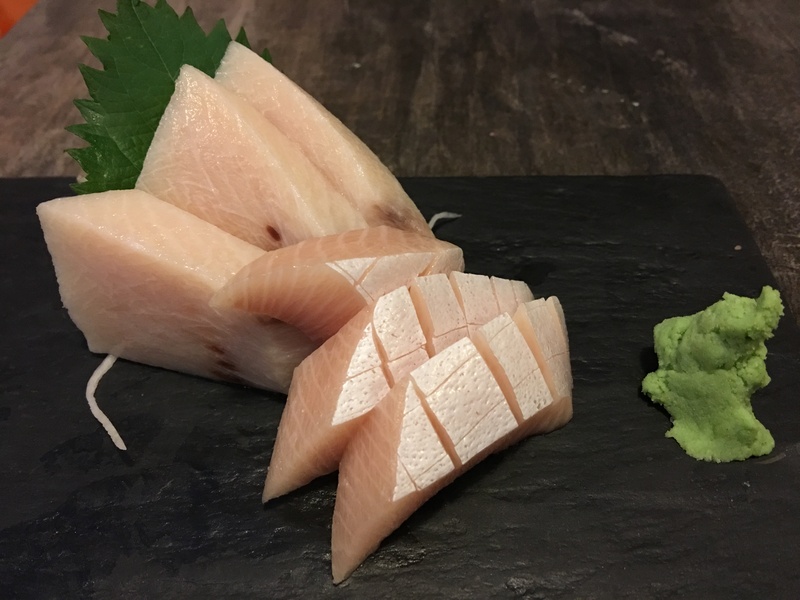 The Swordfish was so fresh and sweet, just nice, while the Hamachi was also so smooth. 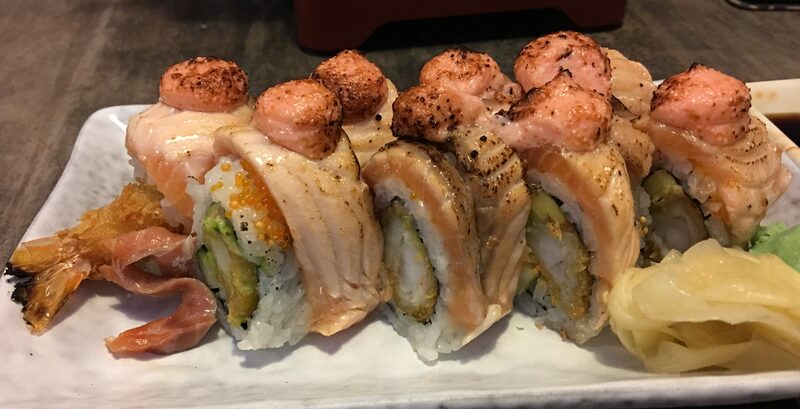 Salmon Aburi Roll. The prawn inside is nice, the salmon was good. A nice little dish. 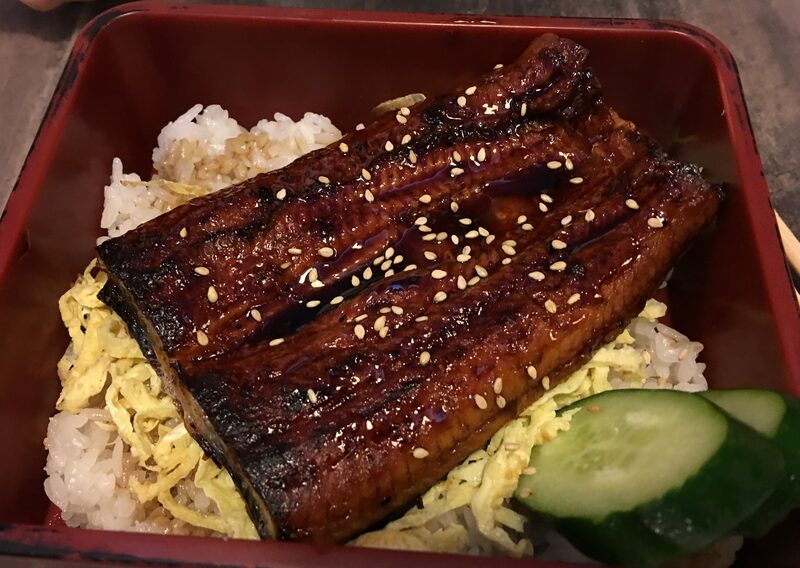 Unagi Don. Flavor was good, but the portion is quite small. I am not sure. Yes, the food is good. Sushi and Sahimi was fresh, no doubt. But economical? I don’t think so. 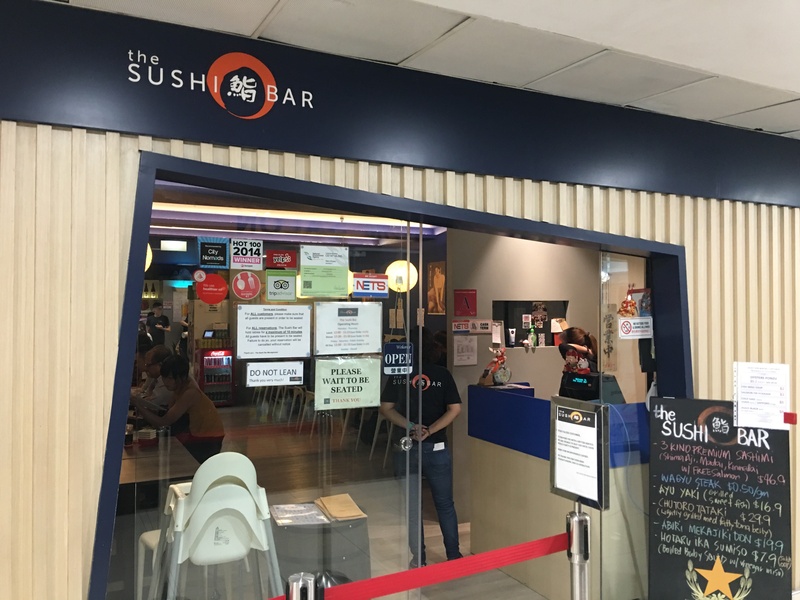 SGD$19 for Unagi Don and SGD$18 for Salmon Aburi Roll? That is pretty high for a place that is economical. But, the food is good, so paying once in awhile, I don’t mind. Posted in Don, Singapore, SushiTagged Don, Japanese, Sashimi, Singapore, Sushi, Unagi, ZZBookmark the permalink.